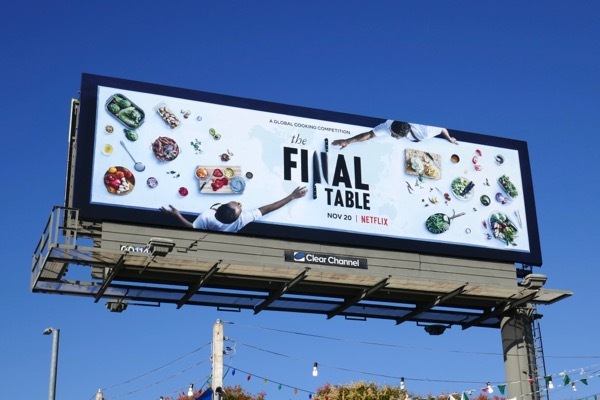 In Netflix's new culinary competition, The Final Table, nine of the world's greatest chefs act as judges for cuisines from where they are from around the globe as twenty-four chefs compete in teams of two for the ultimate cooking crown. 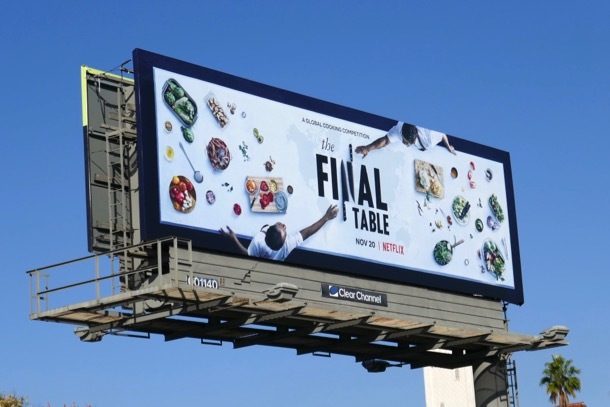 Hosted by Andrew Knowlton, the show features the judging talents of Clare Smyth, Anne-Sophie Pic, Helena Rizzo, Yoshihiro Narisawa, Carlo Cracco, Enrique Olvera, Andoni Aduriz, Grant Achatz and Vineet Bhatia. 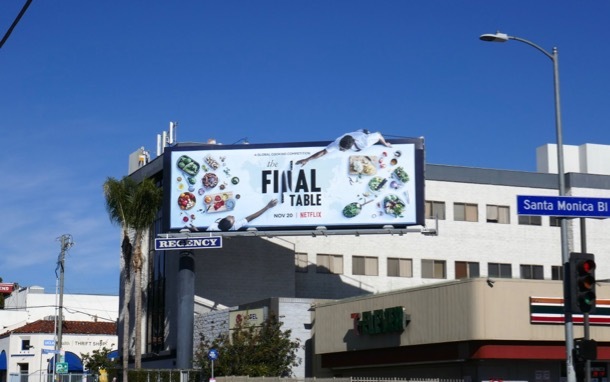 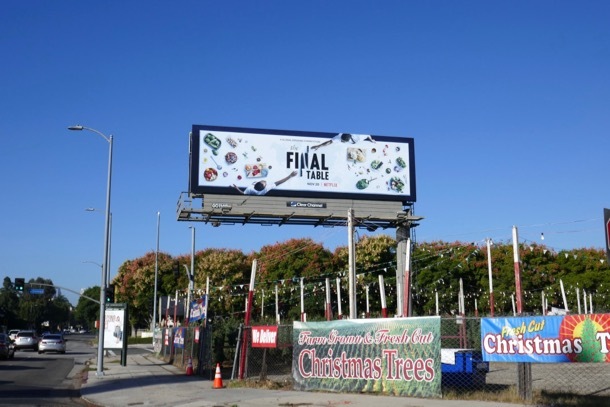 These foodie series launch billboards were captured along Olympic Boulevard and Santa Monica Boulevard from November 23 to November 26, 2018. 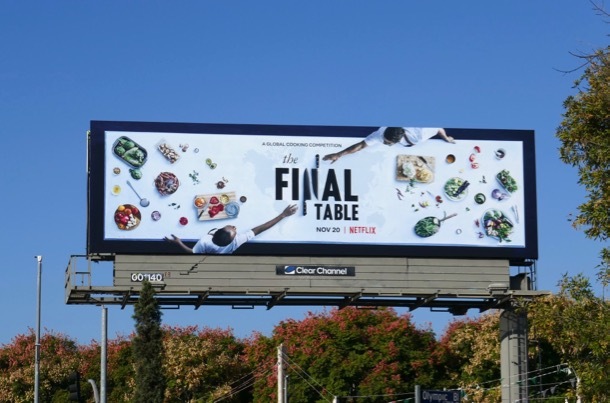 Plus for more of Netflix's culinary offering, make sure you also check out these Cooked and Chef's Table billboards. 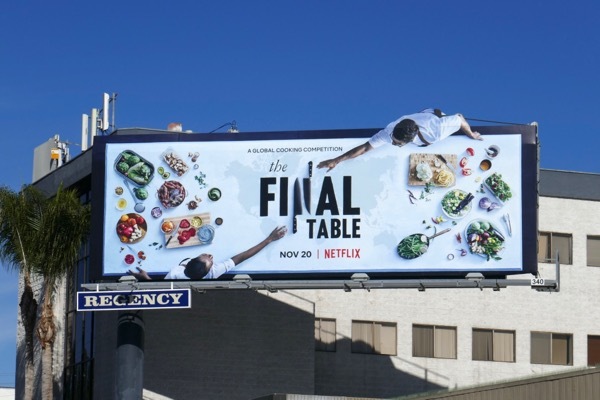 Only time will tell whether The Final Table can take a bite out of audiences for shows like Top Chef and MasterChef and cook up something entirely new and satisfying.